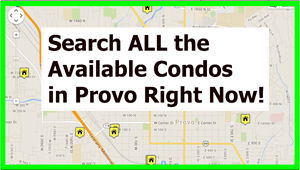 The University Ave Condominiums are located at 539, 543, 567, 583, 591, 595 N University Ave (0 E), Provo, UT 84601. These condos are BYU approved. These condos were built in 2003 and have 62 units. The University Avenues Condos in Provo Utah are not FHA approved for this type of financing. The University Avenue Condos were built in 2003. Most sold transactions are reported to the Multiple Listing Service. I have taken the time to review some of this data. 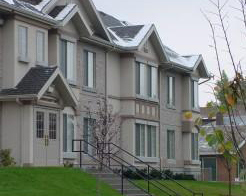 In 2003 the University Avenues Condos in Provo Utah sold in the price range of $188,900 to $199,900. The prices climbed to $216,900 between 2004 to 2005. The prices climbed as high as $229,900. However, between the years 2008-2010 price had a slight decline. Sold units posted prices between $195k to $215k. In 2011 the prices appear to be stable. Three units sold for around $219k. Sellers appear to be asking this same price in 2013. Over the years the University Avenues Condos in Provo Utah have been very stable. These condos are very nice and appeal to investors due to the fact that Provo city and BYU have approved these condos for four students. Are You Looking to Sell a University Avenues Condo? If you own a University Avenues Condo in Provo Utah contact Paul with Team Teasdale Realty. I would be happy to take a look at your condo and give you some feedback about how the unit sells and give you my free opinion on the current market value. These BYU Approved condos are approved for 4 singles! Right Across the street from Provo City Library (original BYU) and only 2 blocks to BYU’s campus! Parking for all students that live there! Tile flooring, Updated and very nice. These units typically rent for around $350. Many landlords are charging this all year round instead of doing a Spring/Summer discount. Many units come completely furnished and ready to go. All appliances are included!